In honor of Mother’s Day here is a glimpse of the hilarious, scary, annoying, and wonderful parts of motherhood! Happy Mother’s Day to all the moms out there! When the baby is up at 4:30 A.M. When your lucky enough that the baby sleeps in…but your toddler wakes up early. When you’ve had your morning coffee. Even if it has been reheated 8 times. Those days when you try to tackles the dishes while the kids attempt to entertain themselves. When you realize you’ve been caught. When your downstairs doing laundry, and your kid walks past your husband (who is in the kitchen making lunch) and comes all the way downstairs to ask YOU for a glass of milk. When your talking about how exhausted you are and someone without kids tries to relate. When you try to have a minute of privacy to use the bathroom. When you just cleaned the bathroom forgetting it was a bath night. When your trying to loose the baby weight. That alone makes it all worth it. Click the FOLLOW button and enter your email to have new posts delivered right to your in inbox! Any of you Dads out there looking for a fun way to help your kids make breakfast in bed for mom on Mothers Day? Pancake cupcakes are super easy and super fun for the kids! Not to mention you can freeze the leftovers foe the next time you need a quick breakfast! All you do is mix up some regular old pancake batter. We use the powder kind that you just add water to. Then pour the batter into the cupcake tin. If you have older kids they could do this part independently. We decided to make fun ones this time so we added chocolate chips and sprinkles. As you can see Babs REALLY likes sprinkles! Lol. Dried blueberries work great too if your looking for a healthier option! Bake for 15 minutes on 375 and breakfast is done!!! I forgot to take a picture of the finished product but they were yummy! What would you add to your pancake cupcakes? The reset button. For some of us it’s a quiet night alone with our spouse, a night out with the girls, or a golf outing with the guys. We all have one and we don’t use it often enough. Having been a working mom and and now a stay at home mom, I can relate. I am guilty of waiting to hit the reset button until I am overworked, overwhelmed, and need more than a minute to myself. Being a SAHM for the past two years has made me realize I never really leave my job; because running the household and taking care of the kids is my job. I love every bit of it. The good, the bad, and the inbetween, however, I also need a break from it. Before I was a mom I was a wife. I hit the reset button so I have time to be just that; a wife. The women I was with my husband before we had kids. Before I was a wife I was a friend. Recently I went to dinner with my best friend. We both left our kiddos at home and enjoyed a meal and long overdue conversation . We talked about everything and nothing all at the same time. I was able to do this with out having the “take this many bites” conversation. It was glorious!! Before I was a mother, a friend, and a wife, I was just me. I try everyday to take time out for me. To do something I enjoy. Even if it’s just 20 minutes. Realistically it doesn’t always happen but I’m working in it. I love being a mom but I love being me too. Being a mom is not who I am. Being a mom is a part if who I am. So here’s to all of us out there hitting the reset button- WAY TO GO! ENJOY! Well, we didn’t catch him this year but he definitely left us a mess along with some treasure! Babs thought the mess was great! 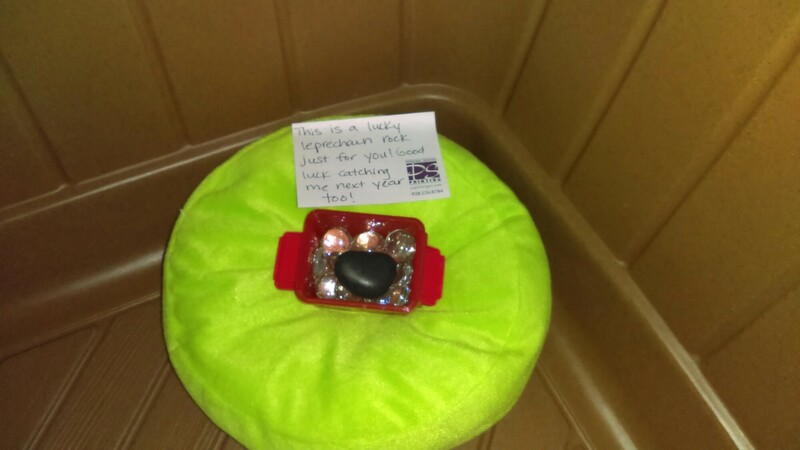 This year instead of treasure he left her a lucky leprechaun rock. Lol… I had to get creative because I forgot about the treasure til late last night. Hope you all have a wonderful St. Patrick’s day!! Our Leprechaun trap is set! Let’s see if we catch him this year! 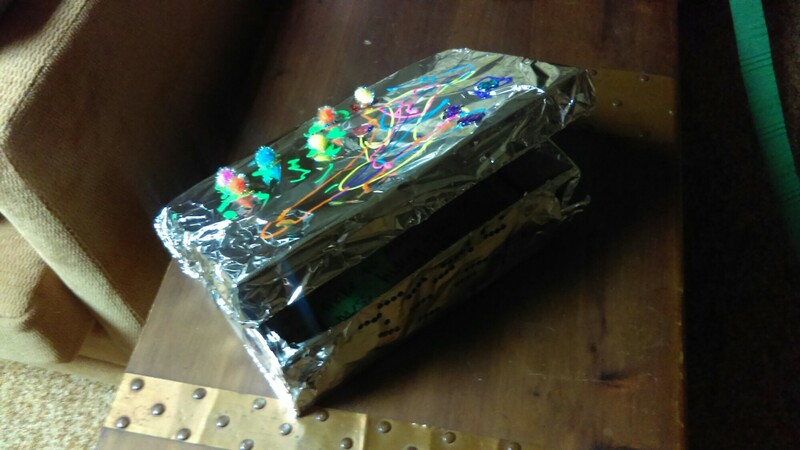 So with St. Patrick’s day right around the corner Babs and I continued our annual tradition of making a leprechaun trap. 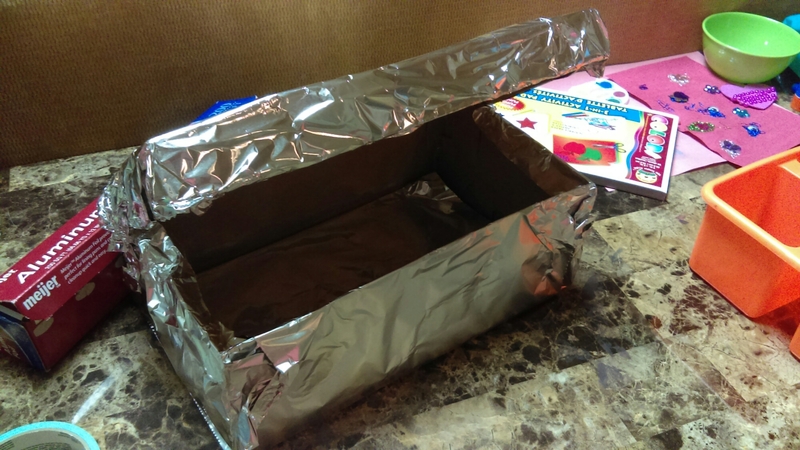 All you need to get started is a shoe box covered in tinfoil. 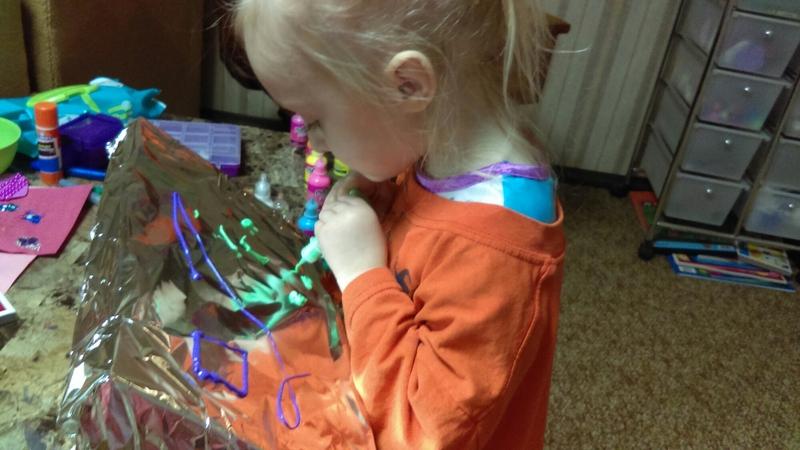 After that give your toddler some gems, stickers, puffy paint, and glue. Really any art supplies will work. Let them decorate it anyway they want. 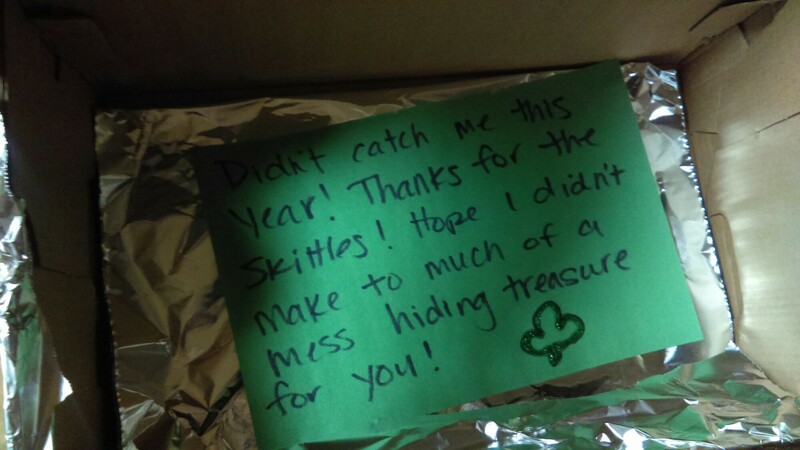 The leprechaun that visits our house likes skittles and lucky charms 😉. The day before St. Patrick’s day we leave some in the trap for the leprechaun. We never catch him and boy is he messy! 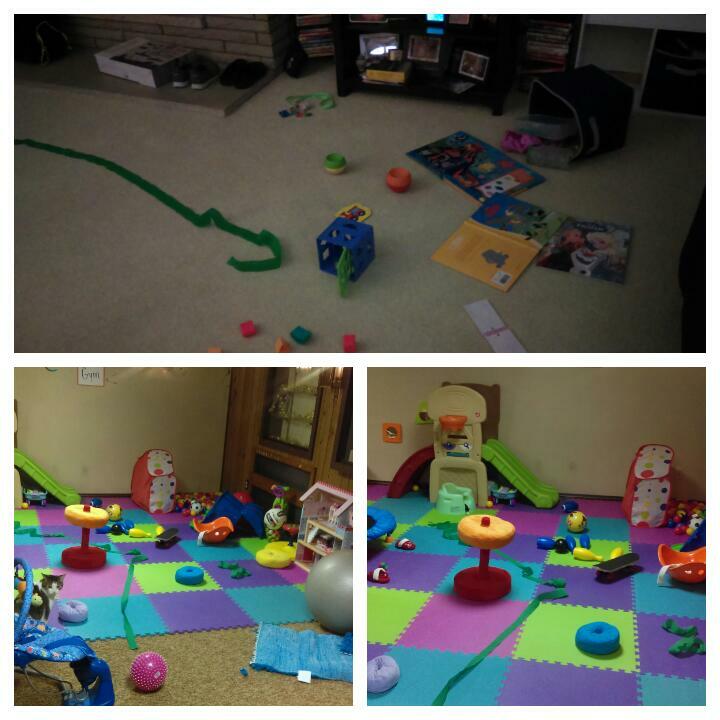 He makes a huge mess in the room. Babs thinks this is hilarious! 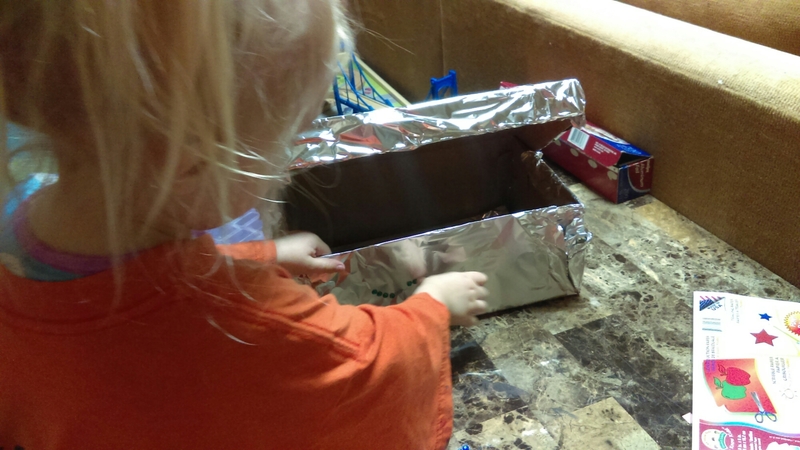 Just a fun activity for you and your toddler to enjoy this St. Patrick’s day! I will be posting pictures of our leprechaun’s mess on Friday! For those of you that haven’t heard, there is a summer program for kids called Kids Bowl Free. Sign your kiddos up and the get two free games of bowling per day all summer long! You pick up the bill for shoes. We did this last year and loved it! After signing Babs up we were then given the option to purchase a family pass for $26 and some change (not available in all areas). It was worth it!!! For $26 my husband and I got the same deal as Babs. Two games a day all summer long. There is also an option to add Grandparents! It was a great way to spend a rainy day as a family. It’s as easy as this. Go to Kids Bowl Free and pick your state. You will then be given a list of bowling alleys that participate in the program. Pick the one in your area (they are listed by city). Registration isn’t open yet so all I did was enter my email and they will notify me when the bowling alley I chose opens registration for the program. Once you sign up they send you a weekly email with your bowling coupons! You don’t even have to print them. I took my phone right to the bowling alley desk. Great way to get some inexpensive family time this summer! We will be enjoying our bowling this summer! Hope you wil too! Hey everyone! 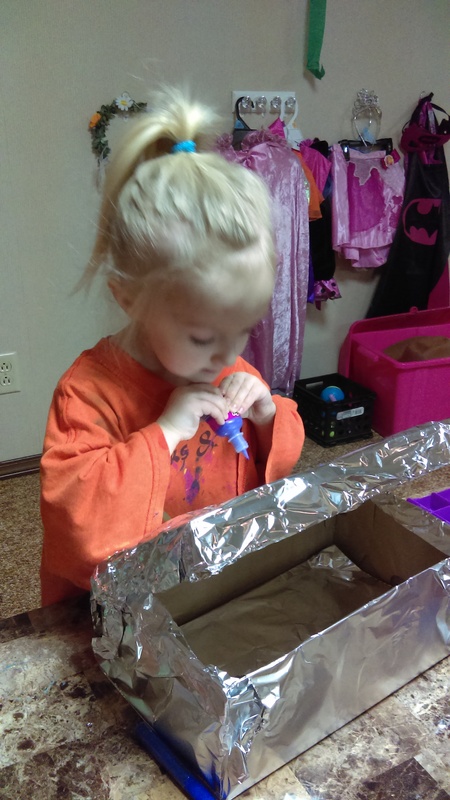 Looking for a low prep art project? Keep your eye out for all those pre packaged clearance Valentine’s art kits. Having a blast with ours! Super Easy Way to Make a Child’s Day! 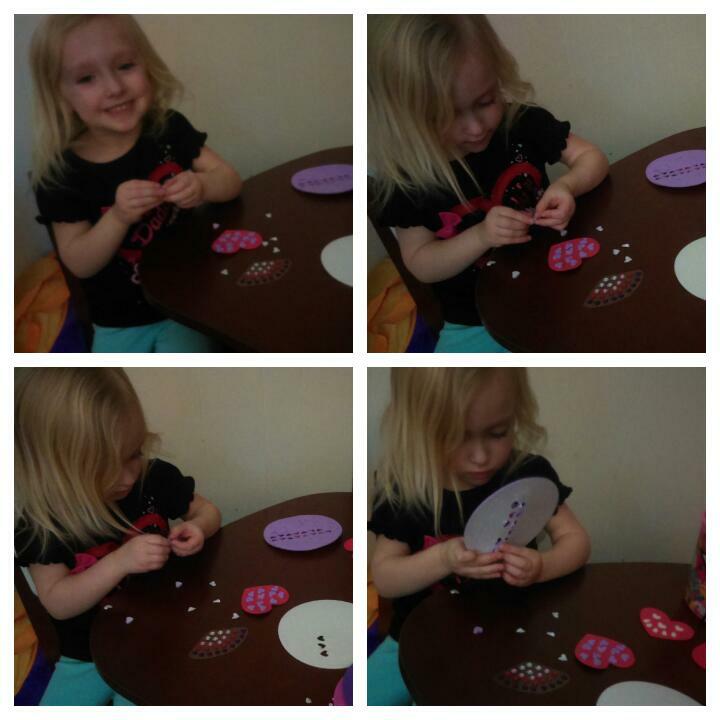 Mott’s Children’s Hospital has made it so easy to send a Valentine to a patient! I just did it and it literally only took me about 2 seconds. Please take a second and send one if your own. Follow this link to send your Valentine!